Dal Khichdi Recipe hotel style, I have made this one pot meal dal khichdi with tadka recipe using moong dal. Tempering is called tadka in hindi. 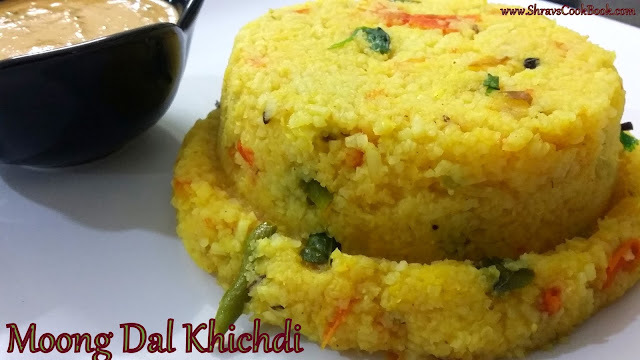 khichdi or khichri is one of the healthy whole meal recipes where rice and lentils are cooked together. Vegetables of your choice can also be added to make it even more healthier and this version is called as Vegetable Masala Khichdi. It ill be warm and gooey, a perfect and comforting recipe for winter and rainy seasons. Dal Khichdi is commonly taken as a medicinal meal i.e. people with cold, cough or fever prefer dal Khichdi. 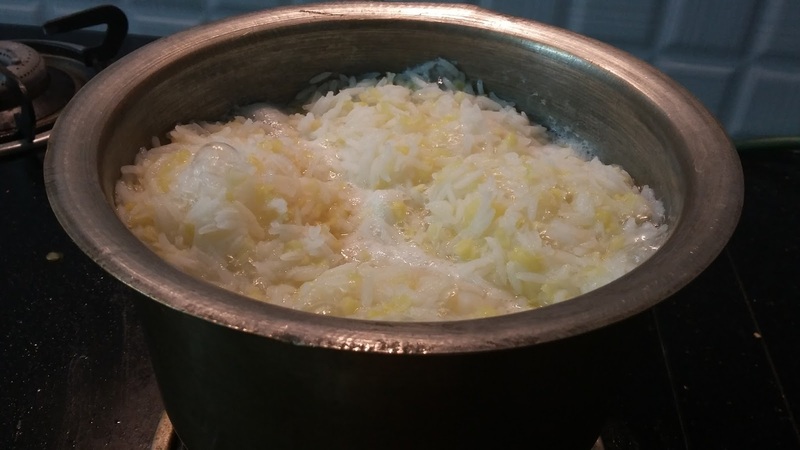 Rice and dal used should be perfectly mashed. Usually Dal Khichdi will be prepared using Moong Dal(Yellow Gram) but Toor Dal Khichdi recipe(Red Gram), Urad Dal(Black Gram) Khichdi and Channa Dal(Bengal Gram) Khichdi are also quite popular Dal Khichdi variations. Along with dals you can add some leafy veggies such as Palak(Spinach) to make it even more healthier. Brown Rice can also be used instead of regular white rice for Khichdis. Instead of Rice, Dhaliya(Wheat Rava) can be used. Oats can also be added along with rice, if using 3/4th rice then use 1/4 oats. These days Rice is replaced with millets. Foxtail Millet Khichdi, Quinoa Khichdi are top on the list. 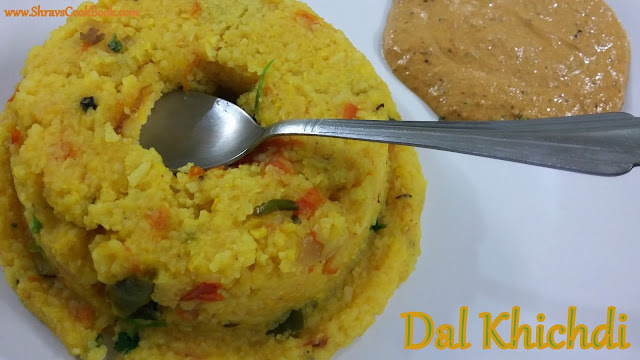 Dal khichdi with tadka recipe or Veg Khichdi should be done using Ghee so that you can get the real taste and aroma of a Khichdi recipe. Pickle and Papad are perfect sides for any kind of Khichdi recipe. You can serve it with raitha or any chutney of your choice also. I served it with Peanut Chutney. 10. 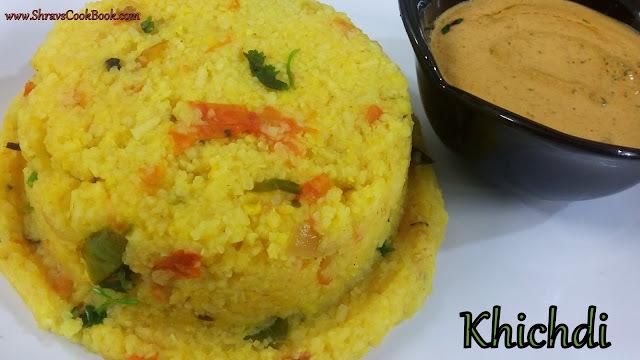 Yummy yellow moong dal khichdi recipe hotel style with tadka is ready to serve. 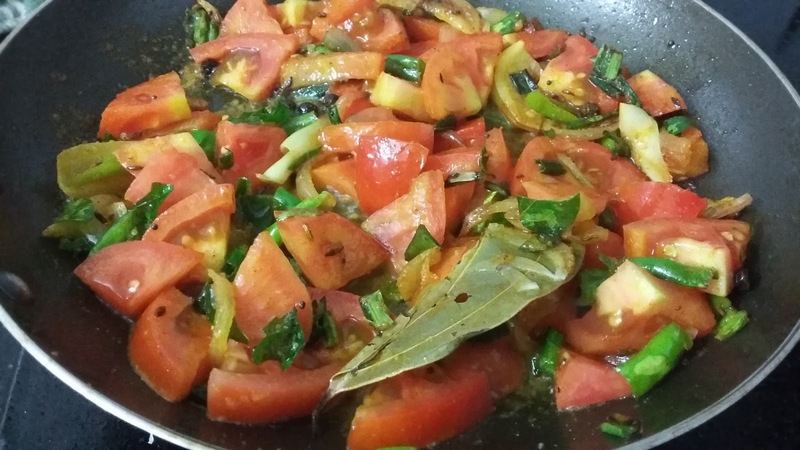 You can add vegetables and leaves also to make this recipe even more tastier and healthier. If you like this recipe do share this with you friends and they will definitely say vahrehvah kya recipe hai. This site uses Google Analytics and Adsense and collects information about your visit . Click here to see more details. The content is copyrighted to shravscookbook.com and may not be reproduced on other websites. shravscookbook.com Copyright @ 2016. Powered by Blogger.